Handmade crystal allows the making of fine crystal and handmade porcelain allows the making of fine porcelain ware. While some crystal shops carry mechanical crystal others carry handmade crystal that includes crystal paperweights and crystal vases. Handmade crystal is produced by companies such as St Louis crystal factory, Baccarat, and Lalique. What is the use of buying crystal? First of all, crystal shines and is so pure and translucent that it is glossy. It looks like a High Definition 3D picture. Furthermore, the play of light and shadows on crystal has some amazing effects on it. Crystal looks like sparkling clear ice and produces a crystal sound while vibrating. Finally, crystal goes through centuries without loosing its brilliance, translucence, and purity because of the amount of lead that it contains. Crystal is forever. It is not necessary to have everything before acquiring crystal ware. Crystal can be bought anytime to give somebody a lasting gift. A crystal item containing an eternal substratum lasts even longer. Make sure that the amount of lead is closer to 30% than 20% before buying crystal ware. From our own experience, a crystal item containing less than 20% lead turns yellowish after a few decades. All crystal items sold on Crystal Porcelain Ware Shop are closer to 30%. Looking at crystal paperweights especially “millefiori” crystal paperweights is just like snorkeling over a coral reef. These high quality paperweights are everything but paperweights. They are rather an excuse to show off skill acquired through the centuries. In fact, it took several decades to recover all the sophisticated paperweight manufacturing techniques of the classical period. The meticulous skill of crystal paperweights making deals with the art of encasing crystal canes, stylized crystal flowers, figures, and other elements in clear crystal. Porcelain is different from other ceramics because it has more whiteness, translucence, hardness, and resonance. It is fired and fired again at high temperature and has a high resistance to thermal shock. In Limoges several manufacturers have reached the ultimate as far as gilded porcelain is concerned. Each porcelain plate is gilded with two layers of gold and hand polished with an agate stone. 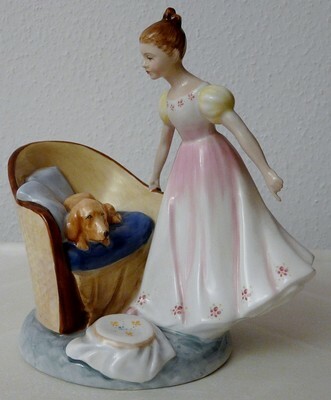 Porcelain ware gifts such as porcelain vases or crystal gifts such as crystal vases and crystal paperweights can be bought online from this crystal shop that sells porcelain ware and crystal. CRYSTAL PORCELAIN WARE SHOP OFFERS FREE SHIPPING ON ALL VINTAGE ITEMS. Signed Verame in relief on side. The deeply acid-etched or sandblasted upside down staircases design definitely belongs to Jean Luce. However, no JL monogram on base. Not all of his pieces were signed. 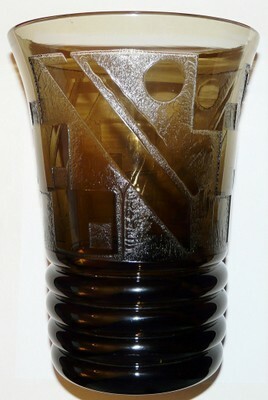 We offer free shipping with insurance and tracking number for this piece. Only one in stock - Just add to cart. We will do the rest.